UPDATED! This post was expanded and updated for 2017 to include more info on building a high-quality marketing funnel for success! For a marketer, it can seem like there are a million different options when it comes to which marketing tactics you should be focusing on. It doesn’t help that everyone is telling you to focus on all of them. The truth is, you could be on every single social media platform, you could be spending loads of money in paid ads, you could be blogging, you could be doing everything that you’re “supposed” to be doing — and you still might not get any real ROI. 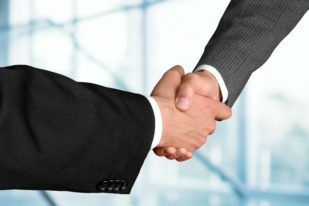 What matters is that you have a logical marketing strategy that holds everything together — a strategy that shows you exactly how your latest white paper is going to help you convert more leads into customers or how getting on the newest social media platform is going to help increase your bottom line. That’s why the most experienced marketers use marketing funnels. A funnel is a system or a model that guides a prospect from first becoming aware of a company to eventually becoming a paying customer and, eventually, an advocate for your business. For example, a new entrepreneur might buy lists off the Internet and then just hand them over to his salespeople. But an experienced marketer would take a more systematic approach. First, she would create high-quality content on her website that her prospects can easily visit if they’re interested. From there she would encourage them to sign up to her e-mail list in order to build a relationship with them over time. Once they’re ready to buy, they’ll easily be able to request a demo and talk to a salesperson. Because this approach fits exactly with how prospects are accustomed to searching for solutions to their problems, it feels more natural, and it becomes easier for salespeople to turn them into customers. In this post, I’ll show you, step by step, how to build a high-quality marketing funnel. Most entrepreneurs dive right into the marketing tactics without doing the groundwork first that will help them understand their customers at a deeper level. This is a huge mistake. Jumping into marketing without understanding what your customers really want is one of the biggest reasons why startups fail. In fact, 64% of startups fail because of scaling prematurely, meaning that they invest heavily in marketing, hiring staff, etc., without having a good understanding of who it is they’re serving. Doing customer research takes time and effort. Most marketers end up skipping this step because it’s easier to just dive in and start A/B testing subject lines instead of doing hours and hours of customer research calls. But those who deeply understand the emotions of their target audience can create the right type of content for them at each step of the funnel which virtually guarantees success. Demographics refer to the defining characteristics of your target market, such as their income, age, gender, location, occupation, etc. This information gives you some surface level insight into what their purchase decisions might look like. According to CrazyEgg, marketers should ideally only focus on two core markers and 1 – 3 secondary markers. Focusing on this small core of people allows you to determine what’s important to them, where they hang out, the type of material they consume, and more. With this information, it’s much easier to build or add to your buyer persona. Buyer personas are extremely valuable in marketing because they give you a clear picture of who you’re trying to target. Free Bonus Download: Want to download the PDF version of this post? Click here to get your very own copy of it! Click here to download it free. If you get specific about who you’re targeting, you can use language in your marketing that’s tailored to one or two core markers. Basic human psychology shows that we all believe that we’re special and unique, and therefore we believe we have unique problems — so if your marketing language seems like a tailored fit for your market, then your conversions are likely to improve. For example, according to Dave Meerman Scott, RightNow technologies quadrupled their lead conversion when they moved to a website that was more focused on a specific buyer persona. One way to translate your demographic research into insight for your marketing is by using a tool called FollowerWonk to learn the “local language” of the type of people you’re targeting. 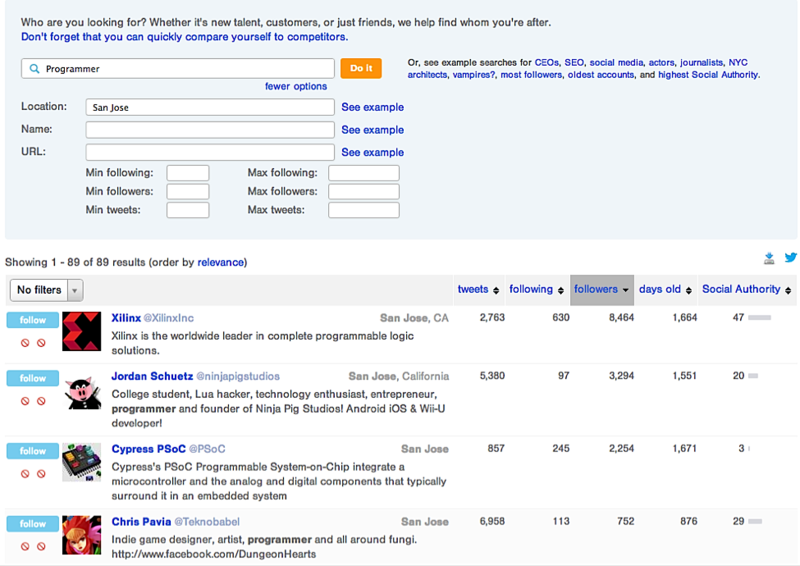 For example, the decision maker who buys your product could be a programmer in San Jose, CA. From there, you can make a list of the Twitter accounts in the search, follow them to monitor any specific shares or posts they send out, and discover what content they find valuable. Another underutilized goldmine for customer development is Amazon book reviews. By reading through the reviews about recently published books in your niche, you can get a sense of what the common objections are and how you can improve on what’s already out there. For example, if your business revolves around solving problems for marketers, you can type “marketing” into the Amazon search box. 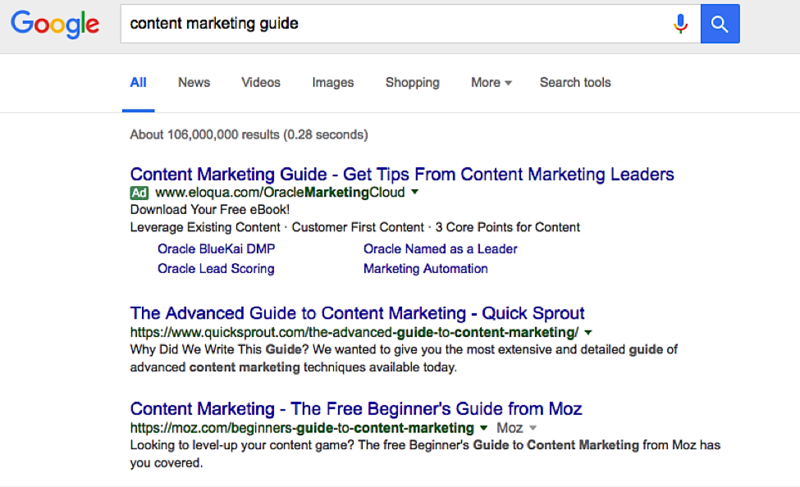 In the search results, you’ll be able to see a list of popular books in the marketing world. These are the types of books that marketers will be familiar with. Next, scroll down and click on one of the books and then look through the reviews that are between two and four stars. It’s well known that customers who are either extremely happy or extremely upset are typically more likely to leave a review. For this reason, many five-star reviews and one-star reviews are likely to be outliers compared to most readers’ opinions. So the best way to gauge true opinions about the book and gain valuable insights that you can use to serve your own audience is by reading through reviews that are between three and four stars. These reviews usually contain valuable critiques of the book that are well thought-out. For example, check out the following review for the book The New Rules of Marketing and PR. If you’re doing any sort of content marketing aimed at marketers, you can use this information to come up with great blog post ideas. It could also be a great “value add” to insert at the appropriate stage your marketing funnel. You can also see which words they use to describe their problems and use that information in your sales material. Understanding the psychology of your buyers is the most important step when crafting your marketing messages down the road. If you understand their personality, their attitudes, their viewpoints on different subjects, their lifestyle, etc., then you can write content or present ads that resonate with them — which will boost conversion rates. For example, let’s say you notice that people in your target market frequently share posts from sites like Buzzfeed. Buzzfeed has a relatively distinct style when it comes to content creation. If you were to adapt Buzzfeed’s style of communication into your own content, then chances are your content will resonate with your target audience. This article on CrazyEgg gives a similar example — if you notice that a high percentage of people in your market share posts on sites like 9gag.com, then it can help your marketing efforts to adopt their style of humor and writing. People make buying decisions based on emotions, then justify them with logic. Because of that phenomenon, it helps to know which emotions are motivating your customers and this can be learned just by observing the type of media they consume. Customer development interviews are also a great way to gauge the problems that your audience has, how they feel about them, and their psychology. By getting on the phone with people from your target market, you’ll be able to hear the subtleties of the problems they deal with day-to-day, the words they use to describe their challenges, the barriers to getting them solved, and so on. People are much more likely to take your call if they know that you’re from their alma mater. Many of us have a relationship with the school we went to, and we feel an immediate connection to others who graduated from the same place. If you don’t have an official “alumni database” for your university, you can also use the search feature on LinkedIn to find your target customers who also went to your school. By chatting with your website visitors, you can get a sense of the types of people who are already visiting your site, so you can tailor your marketing materials specifically to them. Use a tool like Qualaroo that allows you to automatically ask a question to any visitor who comes to a specific page on your website (i.e. your “products” or “services” page). It could be a qualifying question, like “What’s the single biggest challenge you’re facing in growing your business?” Once they answer that, you can ask them to enter their e-mail address so you can follow up to schedule a call and learn more. After you get a deep understanding of the demographics and psychology of your ideal client, it’s time to move on to the more tactical elements of building your funnel. A regular funnel starts with the awareness phase and ends with getting the visitor to take some action that turns them into a customer. However, a conversion funnel isn’t quite the same. According to Neil Patel, a conversion funnel is the path a prospect takes on your site which ultimately results in conversion. By building a conversion funnel, you can also gauge why customers drop off at each step. 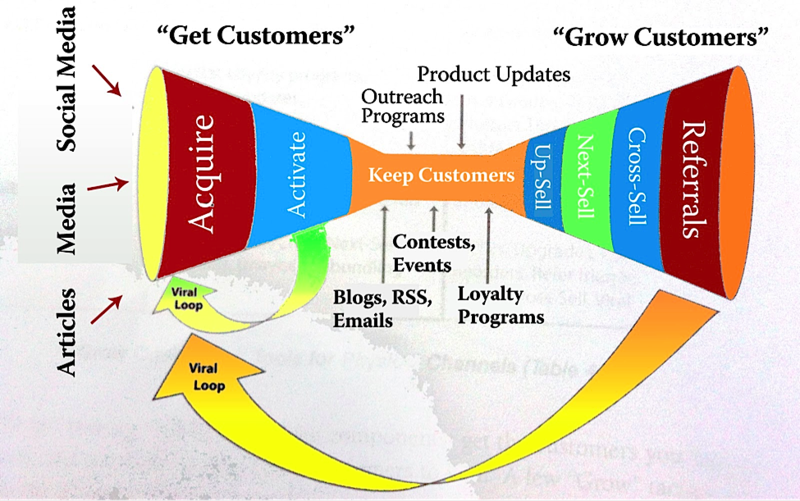 This graphic describes the conversion funnel at a high level. At the top of the funnel, you need to attract as much awareness as possible from the right type of potential customers. If you did your research properly, you know exactly who you’re trying to target, the words they use to describe their problems, the sort of things they care about, and where they hang out. That’s all the information you need to generate a high level of awareness for your business. For example, one way to generate awareness at the top of the funnel is ranking high in search engines. According to Search Engine Watch, the number one site in search engine ranks can get up to 33% of the traffic for that keyword. Depending on the type of keyword you’re trying to rank for, that could be a massive number. QuickSprout and Moz generate a high level of awareness at the top of their funnel through SEO. Because they’re able to rank high for a significant number of marketing keywords, they’re able to present their business first to anyone who’s searching for marketing related content. They know that 70% of B2B buyers turn to Google at least 2 – 3 times during their buyer’s journey, that they look for educational content to help them understand their problem more effectively and, ultimately, make a purchase decision. 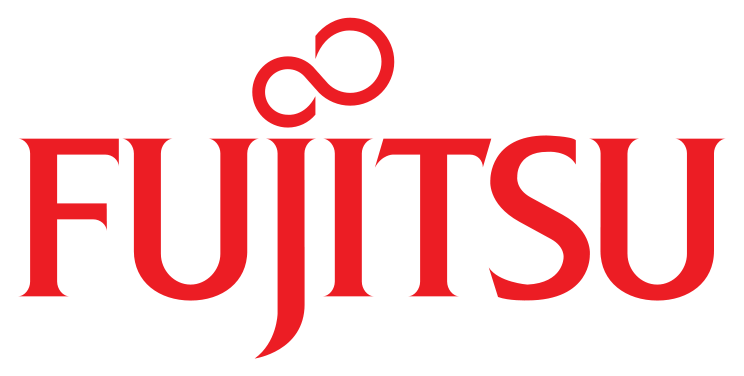 Because sites like QuickSprout and Moz mostly target B2B companies as customers, it makes sense for them to focus on SEO in building awareness for their business. Once you attract awareness for your business, the next step is to start a relationship with your newly acquired readers. The best way to do this is by asking them for their e-mail address in exchange for a valuable piece of content. Once you get their e-mail address, you can send them more valuable content over time, build a close relationship with them, and be the first brand they think of when they are ready to buy. The simplest way to start gathering leads is by offering to send readers content that supplements what they were just reading on your blog. For example, a post on Digital Marketer’s site is about Facebook advertising. They cover seven steps to setting up a Facebook ad campaign in the right way. 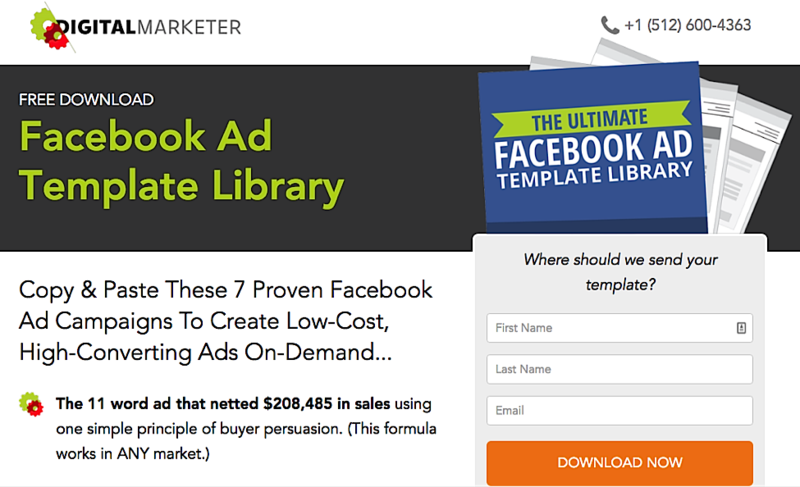 At the bottom of the post, they offer an “Ultimate Facebook Ad Template Library” that readers can get if they enter their e-mail addresses. 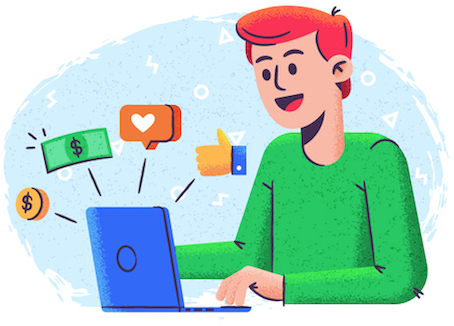 “Low-cost, high-converting ads on demand.” The biggest fear of any marketer who is learning how to use Facebook ads is that they’ll have to spend tons of money just to get started generating quality leads on the platform. This line addresses that fear immediately. “The 11 word ad that netted $208,485 in sales.” This line makes it near impossible to not sign up to receive this template. People like to see big results with minimal effort. If you can provide them with some sort of “quick win” in your content, then they’ll be much more likely to enter their e-mail to receive it. Another way you can present your opt-in offer is through an exit intent pop-up, like the one below. When the reader mouses over to a different tab in their browser or the red “X” button, a pop-up appears that offers them an opt-in incentive that they would’ve also seen at the bottom of the blog post. One pop-up can boost your conversion rates by 10% or more. Once you get a prospect’s e-mail address, the next step is to build a relationship over time through e-mail marketing. At this stage, since they’ve already expressed interest in your business and product, they’ll want to know more about how it has worked for others, as well as access to case studies, white papers, etc. E-mail marketing allows you to build a closer relationship with your audience through constant interaction (in a way that you can’t do with most other social media platforms today) and help your leads make the transition toward becoming paying customers over time. Use social proof to build credibility. You have to include as much social proof and credibility as you can throughout your e-mail marketing sequence. You can do this through case studies, white papers, testimonials, interviews with trustworthy people in your niche, or other high-profile blog features. Build trust. Including stories about your brand in your blog posts are a great way to show that you’re trustworthy, and also build a deeper relationship with your audience. Mapping the autoresponder. Finally, map out an autoresponder sequence to help customers evaluate your product. 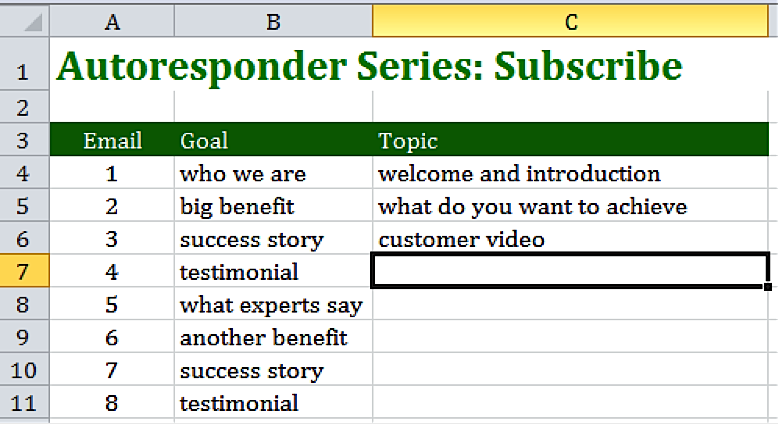 Another way to structure an autoresponder sequence is by offering an e-mail course. For example, if you’re selling a product to salespeople, you could offer a free five-day e-mail course on how to hit quota more consistently, or how to hire motivated reps. The more valuable your autoresponder sequence is to your subscribers, the more likely it is that they’ll take the next step and transact with you. E-mail courses are particularly valuable from both a customer standpoint and a business standpoint because you can provide a lot of valuable content and automate so that you’re not spending a lot of one-on-one time with each subscriber. The longer your e-mail course is, the better the relationship you’ll have with your audience (provided your course is actually good, of course!). According to CrazyEgg, your e-mail sequence should be based around persuasion triggers. For example, a persuasion trigger you might use is a strong client testimonial or some amazing results you got for a customer. Each week, incorporate a series of persuasion triggers into your e-mails, and find stories that incorporate that week’s trigger into your e-mails, too. One important thing to remember with the conversion funnel is that your work doesn’t end after a prospect signs up to become a customer — that’s when the real work begins. Return customers spend on average 67% more than new customers, so you should actually be putting more effort into building relationships with your existing customers so that they 1) come back and buy again, and/or 2) turn into your biggest advocates. Are the instructions clear and appropriate for their level of experience? Who do they contact if they have questions? How do they go about returning or getting a refund? By creating a high-quality funnel to guide prospects through the process of becoming paying customers, you can systematically skyrocket your business in a way that you couldn’t if you were just trying random tactics.